Users of Sage 300 Construction and Real Estate 9.7 and above enjoy a special limited edition of Office Connector Query called Office Connector Starter. Included with Starter, is a 5-day evaluation of Office Connector Query and Write. Need more time to evaluate? Click here to request an extension of your evaluation period. Create your own integrated Excel-based reports. Change the design of existing Excel-based reports. Simplify financial reporting in Excel. Report on any fiscal year and period. Consolidate values from multiple entities and data folders. Create new records in Sage 300 Construction and Real Estate based on data in your Excel worksheets*. Update existing records in Sage 300 Construction and Real Estate based on data in your Excel worksheets*. 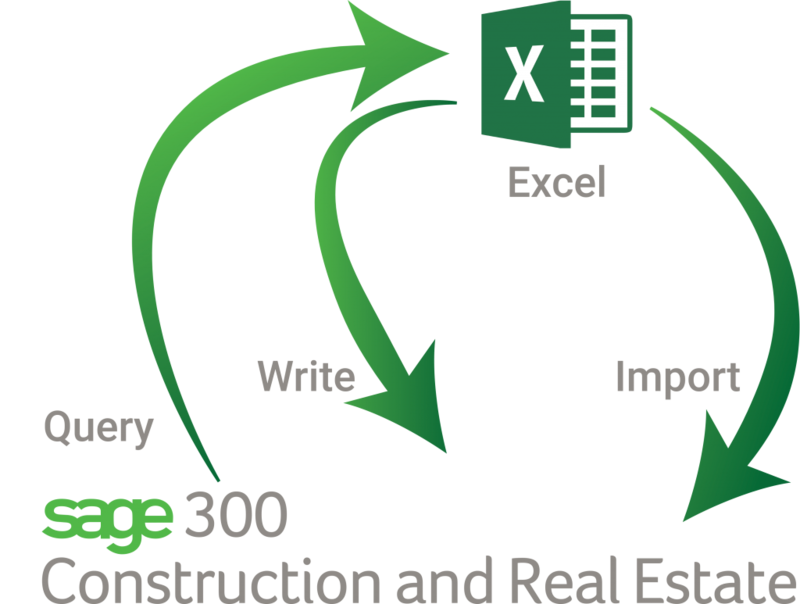 Create files that can be imported into Sage 300 Construction and Real Estate based on data in your Excel worksheets to create transactions.